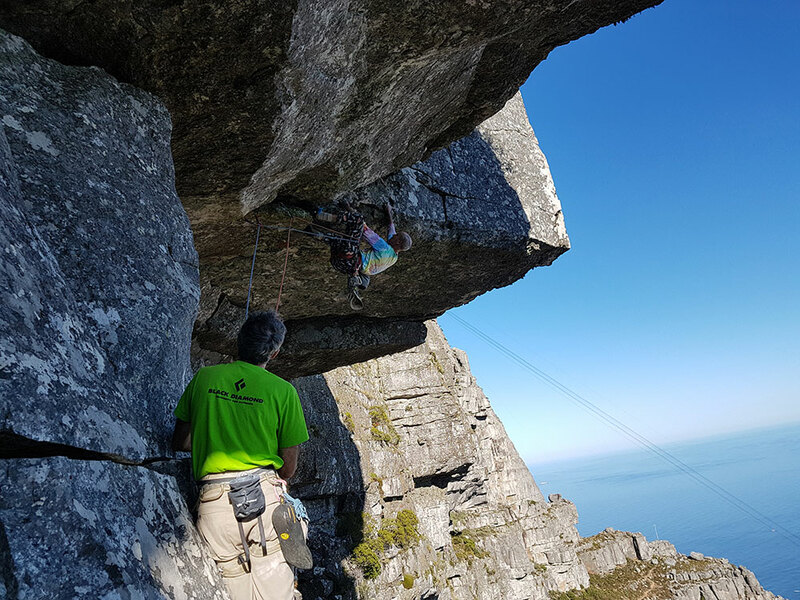 The big project on Africa Amphitheatre, Table Mountain, has been sent! 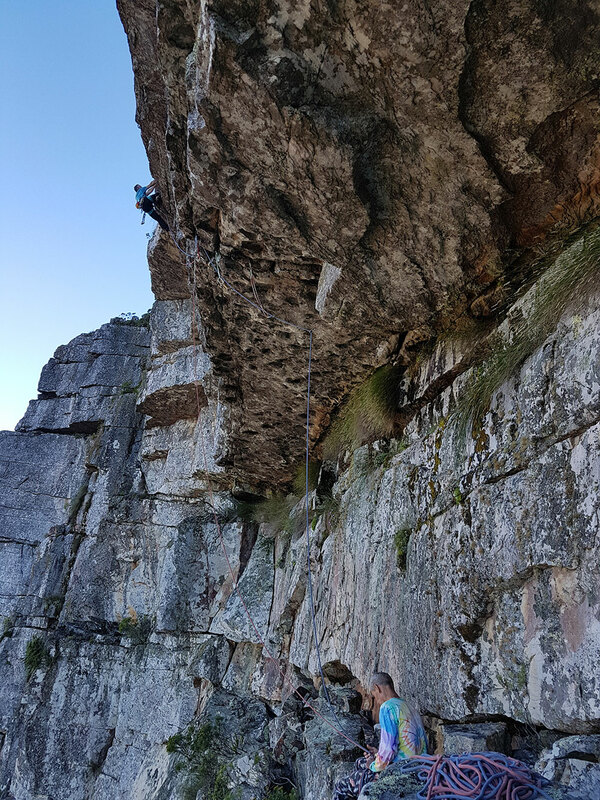 The route received its first ascent over two days on 28 and 29 January, with an overnight on a ledge. 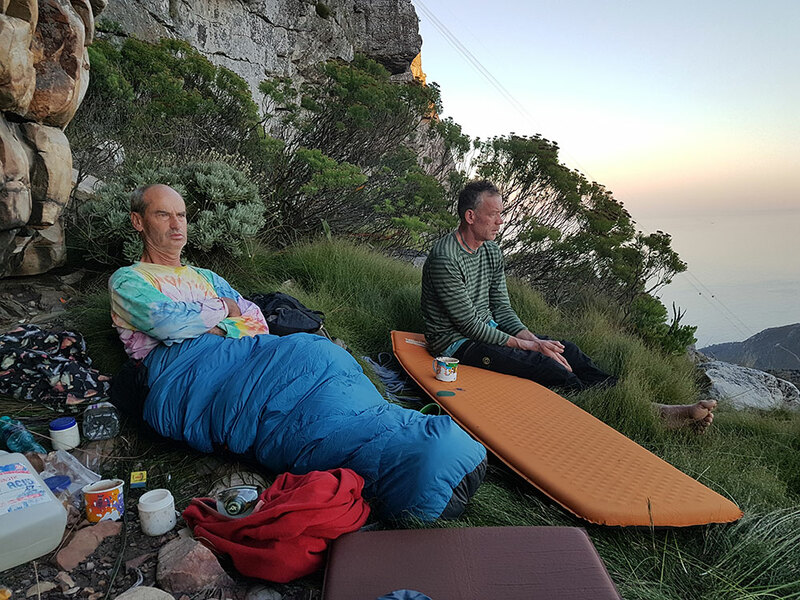 Tinie Versfeld, Dave Birkett and Hilton Davies, sent the ten pitch, 250m route by doing six pitches on the first day and four pitches on the second day. Every pitch was led clean and with no falls. The route is to the left of Africa Safari and Africa Amphitheatre and takes blank-looking white walls, stepped-out faces and huge roofs. 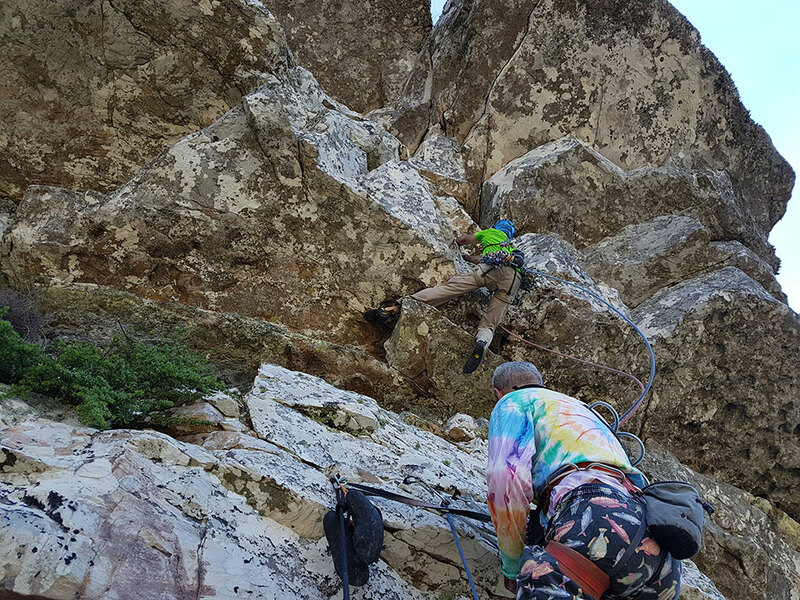 There were 23 outings on the route over two years to figure out what could work and to wire-brush lichen off the rock. Every pitch is sustained and of very high quality. 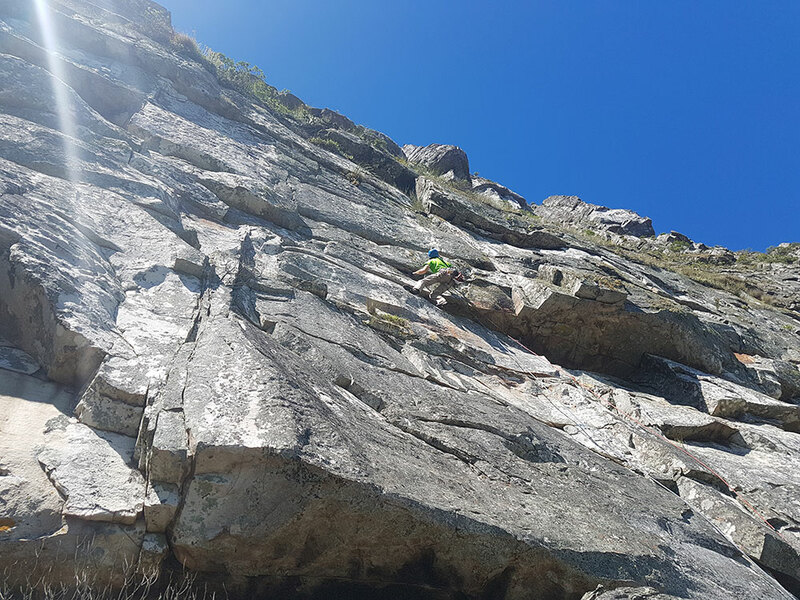 The two hardest pitches required one of the best trad climbers in the world to get it done – the semi-South African brit Dave Birkett from the Lake District. 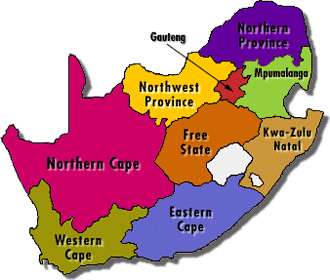 By all accounts this route is world-class! The pitches go at 21, 23, 26, 23, 23, 28, 22, 23, 28, 20.
looks amazing! great achievement by the old warriors. respect! Congratulations guys, what a route! That’s really rad. Great addition to the mountain by the sounds of it. I have a question about traditional climbing as I’m a sport climber. 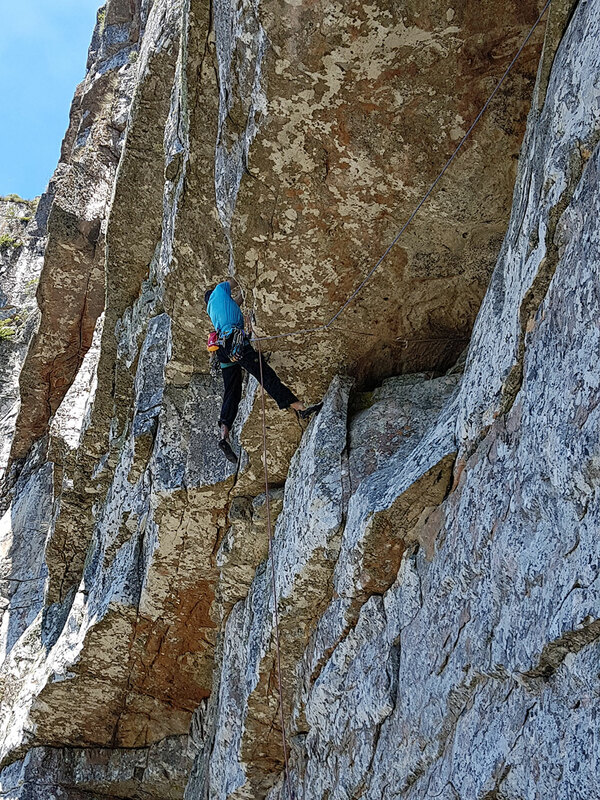 Does “lead clean” refer to no pre-placed gear, as sending a route means it’s done without falling/aiding in sport climbing? The question refers to pic “Dave on pitch 6”. 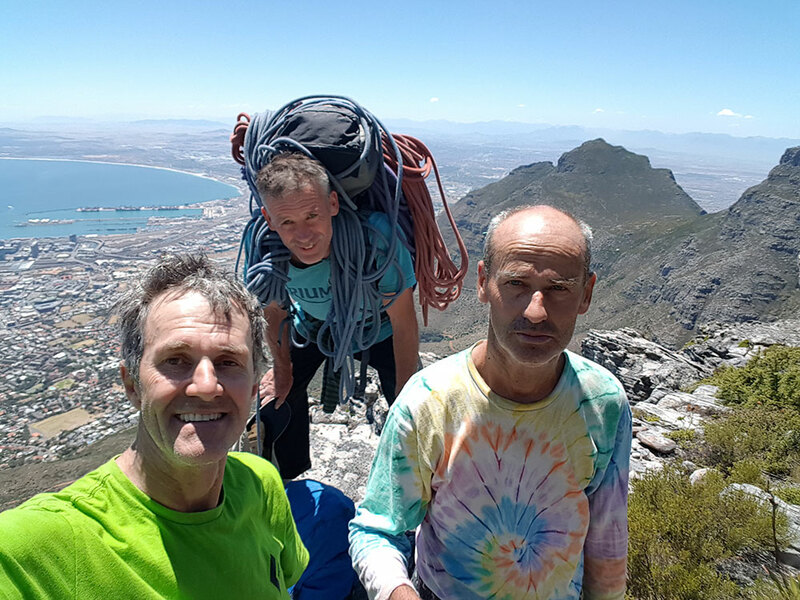 Tony Lourens is going to publish a full story with pics, RD, photo topo etc in SA Mountain’s June edition. 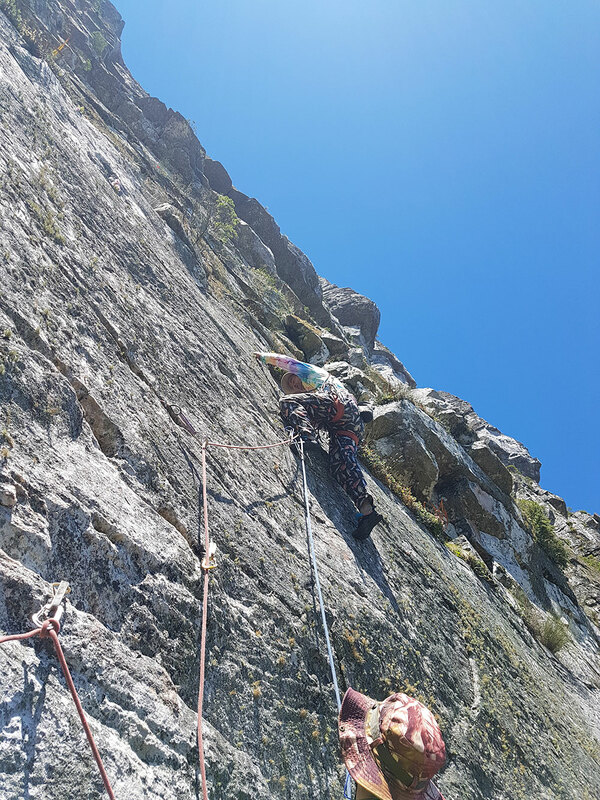 “Led clean” to us means that we led without pre-placed gear and without aiding (Note: sitting on gear, sitting on the rope, pulling on gear – are all forms of A0 aiding). In the picture of Dave on P6 you see him when he was sending. He had already been out to the lip and back placing gear and then coming down for a rest. On retreat he didn’t get any assistance from the rope. 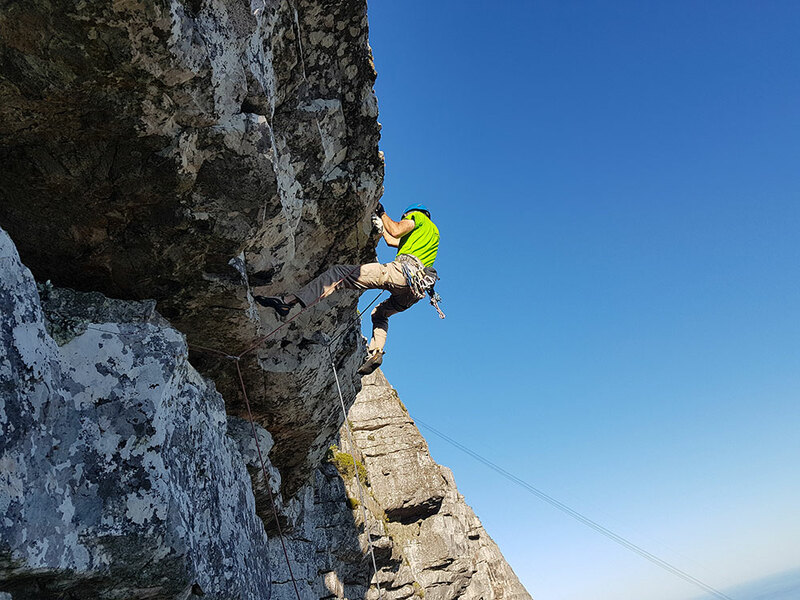 There are some life-saving pitons, for example where you see me leading P5 I have just got to the only piton on the pitch and it’s the first piece of gear after some fairly demanding climbing with a Factor 2 onto the hanging stance. Everyone who climbs this route will be pleased for the half-dozen pegs, I think. Thanks for the explanation. Occasional pittons or bolts in R/X rated sections are a no-brainer. Once again congratulations on the clean send, that’s really next level. Keen to see what you guys are planning to do next. 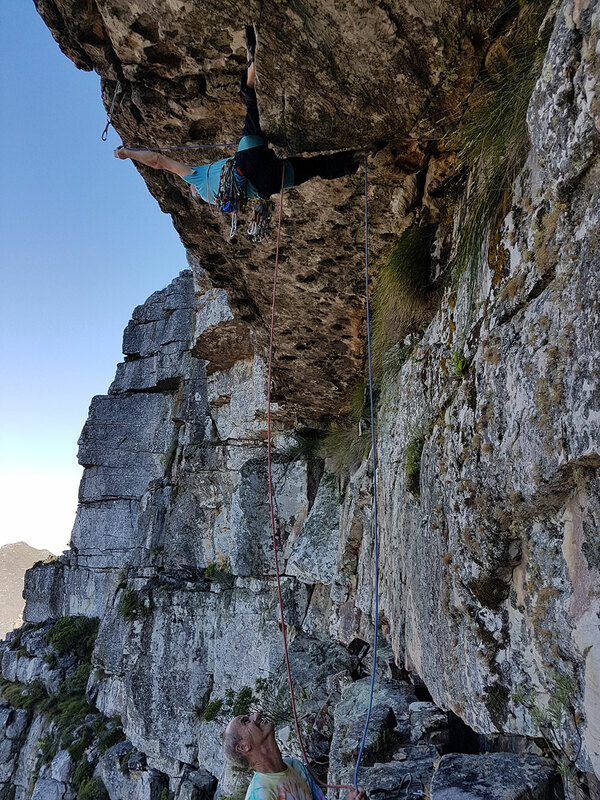 I think it is the ultimate in trad climbing. Thinking back, I would have been desperate to have joined you three amazing route finders. Could I have done it? Only with a lot of help. But I was climbing 60 years ago. I never knew the gear that came later. My Brother Keith must have inspired it. Hello Barry! I’m so glad that Climb ZA told me about your comment. It’s wonderful to see this from one of our legends! And thank you for your kind words! 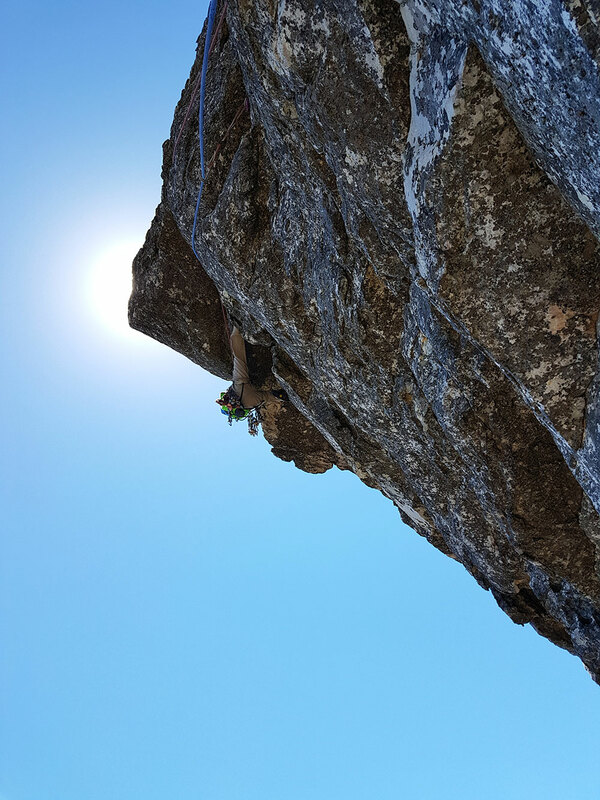 If you were a young man today you would be at the leading edge of rock climbing, no doubt about it. When you opened Touch and Go on the last day of 1961 (the year I was born!) 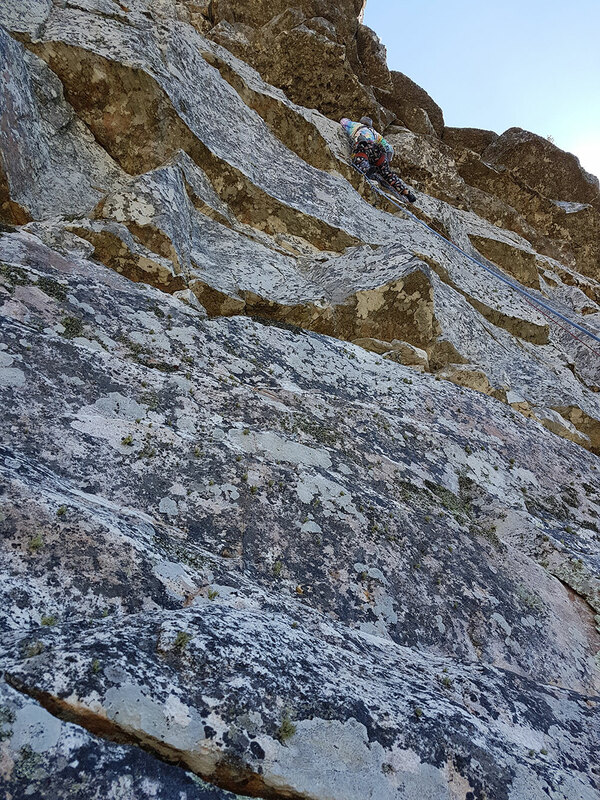 that climbing was so gymnastic and so out there – facing big, bad leader falls. I have great respect for what you accomplished in those breakthrough years. Roof of Africa is a pretty incredible route in so many ways. It’s clean, it’s big, it’s steep and it’s hard all the time. Fortunately Tinie and I could rely on Dave Birkett to pull off the two hardest pitches!